The purchase and implementation of an electronic health record (EHR) system is no small feat and is a big step for a practice, small or large, to take. Selecting your new EHR is one of the most important decisions that you will make for your practice. Therefore, we are providing you with a guide that we believe is an absolute must have before taking the EHR plunge. 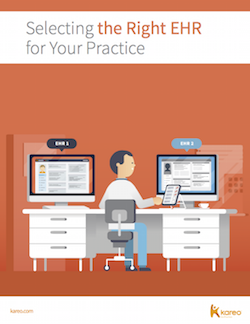 Make sure you download and read Selecting the Right EHR for your Practice.